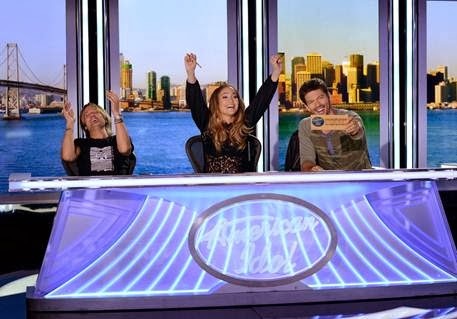 American Idol Season 13 premiere bags huge ratings for Star World! I can spend the whole day just by watching Keith Urban giving feedback on American Idol. Other than being incredibly handsome and cool with authentic blue eyes, he has so much to say about Music and smoothly gives his comments to the hopefuls. Earlier's episode was a revelation of how strict and true he can be. It pisses him off whenever a contestant focuses on the idea of going to Hollywood instead of listening to judges criticism and recommendation. I just have so much respect for him as a singer, as a musician and more so as a person. Seeing his genuine attitude whenever someone shows appreciation to his music is just beyond amazing. The words of gratitude he uses are just so adorable. Jennifer Lopez is the real deal on American Idol! She's an inspiration to a lot of singers. I like the way she says No to hopefuls. Very delicate and sensitive without making them stop to still chase for their dreams. Harry Connick Jr. brings new flavor to the show. With his wit and experience as a performer both on stage and on TV, it gives Idol more credibility in choosing who really has the voice and appeal to become the next singing champion. I just have to commend the way he called out the disrespect of a contestant to Jennifer Lopez during the audition. It was smartly delivered that the contestant became so apolegetic. Catch #AmericanIdol13 LIVE every Thursday at 6pm, with encores at 8PM and 11PM on Starworld!